Tokyo 2020 Olympic and Paralympic Games Chief Executive Creative Director of the opening and closing ceremonies, Mansai Nomura, a famed stage actor and film director also known for his training in a thousand year old Japanese comic theatre, Kyogen, attends a news conferece in Tokyo, Japan July 31, 2018 (Reuters/Toru Hanai). 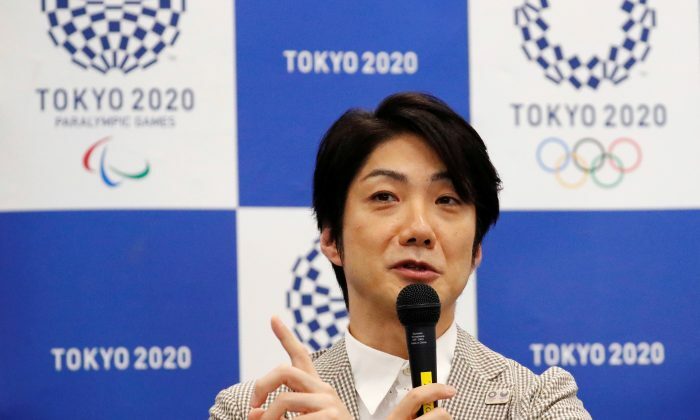 FUKUSHIMA PREFECTURE, Japan—Japanese actor Mansai Nomura will orchestrate the opening and closing ceremonies for the Tokyo 2020 Olympic and Paralympic Games. It was announced on Monday. Nomura is best known in Japan for his performances as an actor featuring in kyogen, a traditional form of comedic theater. The 52-year-old won the prize for the best actor at the prestigious Blue Ribbon Awards in 2001. Japan currently does not switch its timezone during the summer months, when the sun rises very early bringing with it the heat and humidity.